The U.S. Department of Energy is putting Bonneville Power Administration on a short leash in the wake of BPA's hiring scandal, and that may portend a fight with BPA's customers and the region's Congressional delegation. 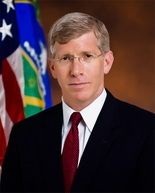 Deputy U.S. Energy Secretary Daniel Poneman on Thursday sent a memo to BPA's Acting Administrator Elliot Mainzer outlining the steps the department was taking in the wake of an investigation that found the BPA was manipulating rankings of job candidates, discriminating against veterans and other applicants, and that managers had retaliated against whistleblowers who brought the problems to light. The DOE's response includes an open-ended takeover of BPA's personnel authority, its legal staff and its ability to determine which of DOE's policy directives apply to Bonneville. Reaction was swift. John Saven, chief executive of a BPA customer group, Northwest Requirements Utilities, said he was dumbfounded by Poneman's memo after receiving assurances from DOE officials last week that their response would not be heavy handed. Saven said DOE had already suspended BPA's human resources authority and it was understandable that it would maintain control for some time. But he said usurping BPA's legal authority was overreaching. Virtually every decision BPA's administrator makes is subject to challenge, he said, and filtering its legal determinations on policy issues through Washington D.C. is a troubling prospect. "My hope and expectation is that the congressional delegation and everyone will rise up and say what the hell's going on here," Saven said. U.S. Rep. Doc Hastings, R-Wash. and chair of the House Natural Resources Committee, did just that. In a statement his office sent out Thursday, Hastings said BPA's unfair hiring practices need to be addressed promptly, but that its decision-making authority needs to remain in the Northwest, and that its autonomy as a separate and distinct agency needs to remain intact. "Washington D.C.-based memos and directives are unfortunately a recurring and troubling trend with the Obama Administration's Energy Department, and this one could seriously impact BPA's legal and statutory responsibilities for the hydropower system and upcoming negotiation of the Columbia River Treaty," said Hastings statement. U.S. Sen Ron Wyden, D-Ore. and chair of the Senate energy Committee, held a press conference outside BPA headquarters last week. He called BPA a critical piece of the Northwest's economic infrastructure, and said he would fight any effort to centralize control over the agency in Washington D.C.
"Deputy Energy Secretary Poneman has assured me that correcting these problems will not lead to micro-management of Bonneville from Washington, D.C." Wyden said in an e-mailed statement Thursday. "I will continue to watchdog the Energy Department going forward to make sure that decisions about the Northwest's energy supply are made in the Northwest." BPA is one of four federal power marketing administrations within the DOE, but has historically operated with a great deal of autonomy. Its 140 public utility customers have preference rights to the low-cost hydropower generated at 31 hydroelectric dams in the region, and they consistently push for BPA to retain that independence and make decisions here. "DOE has conveyed to us that its fundamental intention is to ensure that our activities related to personnel practices are compliant with federal law," said BPA Spokesman Michael Hansen. "Our focus will remain on addressing those issues, maintaining business continuity and providing value to the region." According to Poneman's memo, Bonneville's human resources director and staff will henceforth be reporting directly to DOE headquarters in Washington D.C. BPA will continue to fund the department, but the authority for personnel decisions will ultimately rest in Washington D.C., not at BPA's Portland headquarters. Poneman said the move is intended to assure compliance with federal hiring rules, better train BPA staff, and increase communications between the agencies. He also called for the DOE and BPA to integrate their human resources information systems, a move that could prove expensive for BPA as it has already chosen a separate vendor. BPA and DOE will issues a progress report on the human resources moves in six months. BPA's legal staff will also report directly to DOE headquarters. The agency's general counsel will continue to prepare legal advice for BPA's administrator, but that will be done in coordination with the DOE. Also potentially significant to the operation of BPA, the memo's said DOE's senior advisor on the federal power marketing administrations will work with the BPA administrator to determine which of the DOE's policy directives are applicable to BPA. That's a significant departure from past practice, when BPA lawyers made that call, and often determined that DOE's policies were not applicable. BPA's Acting Administrator, Elliot Mainzer, has also ben asked to realign the reporting of the BPA ombudsman and revise the hotline review complaint process to avoid conflicts of interest. Poneman also said the DOE was reviewing BPA's harassment policy, and that BPA would use DOE's performance management system to provide more objective criteria for employee evaluations. Poneman's memo did not address any specific personnel moves at BPA, though Mainzer has been asked to stay on indefinitely as acting administrator. BPA Administrator Bill Drummond and Chief Operating Officer Anita Decker have been on administrative leave since mid July, though multiple sources have told the Oregonian that they have been offered jobs within the Department of Energy. Jerilyn Krier, a senior employment attorney in BPA's general counsel's office until retiring earlier this year, described the maneuver as a "directed reassignment." She said it was an effective way for the DOE to avoid a drawn-out, legalistic, and politically messy review if it attempted to remove the two executives from public service. That disciplinary process, Krier said, would require the DOE to present clear proof that the two executives violated a policy or rule, then demonstrate that removing them was justified. The decision would also be subject to appeal to the U.S. Merit Systems Protection Board. A directed reassignment, on the other hand, leaves the executives with no recourse if they don't like the positions they're offered. Krier said she doubts the DOE has clear proof that Drummond is at fault. While the Department of Energy Inspector General's report laid much of the blame for BPA's hiring problems on BPA's management culture, Drummond was only appointed administrator in January. The Inspector General's report did not name Drummond or Decker by name, but suggested senior managers were aware of, tolerated or ignored instances of discrimination or retaliation. Krier maintains there was a lot of innuendo in the DOE Inspector General's report, but that it only presented one side of the story -- the most inflammatory.